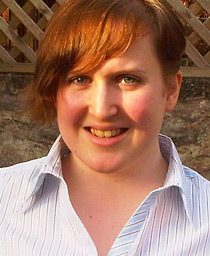 Upon Graduating in Psychology at Stirling University, Laura went on to undertake an MSc in Business Psychology at Heriot Watt University in Edinburgh, while developing her interest in the understanding and deployment of Experiential Learning Tools to enhance Collaborative Group Dynamics. Non vocational assignments to date have ranged from working on Risk Assessments with KD Marine, a leading Diving Company based in Aberdeen with global interests, to being a key team member of LA Recruitment internally and externally with clients ranging from Scientific Research Companies to Car Dealers; from operating successfully in both Accounts and Remuneration at Rigblast Group, to front of house Customer Service Assistant at Clydesdale Bank’s Principal Branch in Aberdeen. More recently, on a vocational basis, Laura has supported the delivery of experiential learning tools and games for www.shell.com's 'GameChanger' Team in The Hague, to good effect and is an accredited facilitator of www.glowinkowski.com ‘s Predisposition Indicators profiling tools. Laura's dissertation examined 'Cross-Cultural Leadership Coaching - Comparison between Positive Psychology Coaching and Buddhist Approach to Resilience'. Laura is moving to Canada in January, initially for a year, where she will be spearheading www.glowinkowski.com ‘s entry to the Canadian market and is open to additional assignments in Canada for those interested in Canada and the rest of North America.